My father worked on the Liverpool docks for over 20 years. He had dramatic stories to tell that would trash your assumptions about that world and the people of it. A docker’s hook is a great tool for leverage. 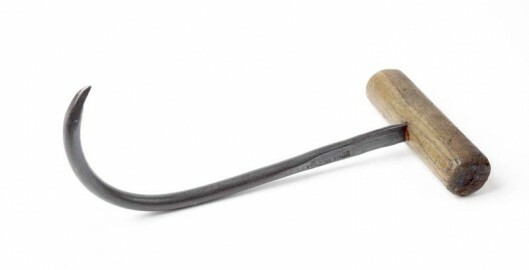 It’s got a sharp, hooked spike attached to a wooden stock handle. Your hand grips it comfortably; the iron hook makes a powerful extension to your own body. Gripping with your arm’s full strength, you can leverage your whole body weight into the act of hooking and pulling objects. I remember as a kid clasping the hook; there was a direct power to it as a tool. All very interesting..but here’s the point. If your promo film doesn’t hook your audience, doesn’t light a fire under them, speak to them emotionally and provide neat little hooks that keep your audience guessing, anticipating, caring about what happens next, you might question its value. Effective films are more than technical flash, corny dramatised moments. They distil, tell stories, connect with audiences, getting under the skin. They ask questions and they don’t waste peoples’ time going round the houses.